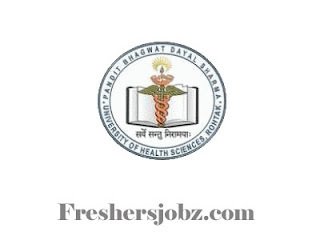 UHSR Rohtak Notification 2018.PT.B.D Sharma University of Health Sciences, Rohtak has released a notification for the recruitment of Non-Teaching vacancies.Check the eligiblity and notification prior to apply for the positions. 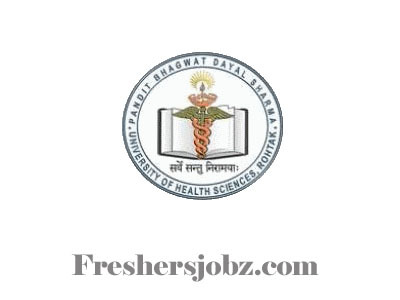 10+2 passed candidates can apply for pharmacist post. CA holders can apply for accounts officer and controller of finance posts. Master’s degree holders can apply for deputy registrar and deputy medical superintendent. For other posts the qualification is BE/ B.Tech/ Graduation. Selected candidates as Dy. Registrar, controller, superintendent and psychiatrist will get pay of Rs.15600-39100/- and GP. Selected candidates as steno-typist, clerk, supervisor, DEO will get pay of Rs.5200-20200/- and GP . Through written test/ interview contenders will be recruited. Only online mode of applications from 18th October 2018 to 12th November 2018 contenders can apply for USHR recruitment. http://www.uhsr.ac.in/detailsleft.aspx?artid=27 is the link to apply online.